Seth Godin's most recent book, Purple Cow, hit The Wall Street Journal, Business Week and New York Times bestseller lists, with more than 90,000 copies in print. 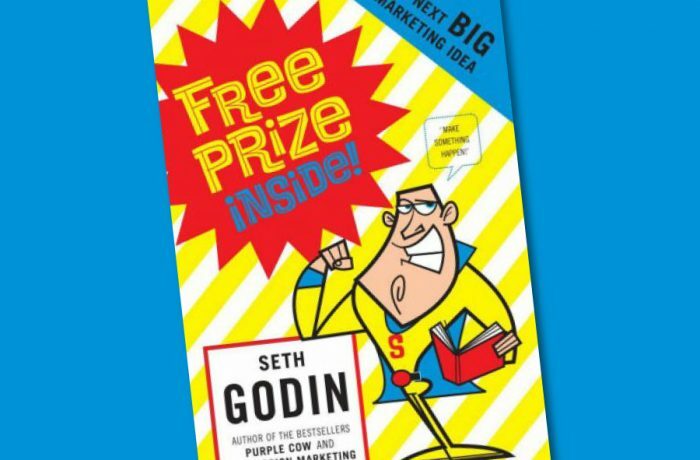 Free Prize Inside follows up some of the concepts in this book, answering questions readers were left with like: How do you actually think up new Purple Cows? ; and how do you get them adopted by risk-averse Brown Cow companies? It gives examples of market-changing innovations - the free prizes that worked like G.I. Joe (a doll just for boys) and frequent flier miles - and teaches how to recreate these blockbuster ideas.